Little Kids Rock, the national nonprofit dedicated to transforming lives by restoring, expanding, and innovating music education in public schools announced the honorees for its annual benefit being held Wednesday, October 18th at PlayStation Theater in New York. This year’s event will honor Elvis Costello with the Rocker of the Year Award, and Bonnie Raitt with the Lifetime Achievement Award. In addition, Founder and CEO of City Winery, Michael Dorf will be honored for his extensive philanthropic work, including efforts on behalf of expanding music education for underprivileged youth through the annually produced “Music of” tribute concerts. The Annual Little Kids Rock Benefit, produced by Mark Krantz and Michael Matuza brings together artists and individuals who are passionate about bringing the transformational gift of music to children in public schools across the US. Prior years’ honorees include Smokey Robinson, Steve Miller, Steven Van Zandt, Lady Gaga, Graham Nash and Joan Jett. This year’s benefit theme, “Music Changed My Life,” is reflected in the honorees and the event’s special performances by public school students from New York City and Pasadena who receive free music lessons thanks to Little Kids Rock, Paul Shaffer, Will Lee and Keb' Mo', as well as additional surprise performances. 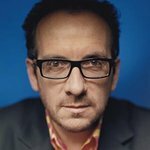 Elvis Costello has followed his musical curiosity in a career spanning more than 30 years. He is perhaps best known for his performances with The Attractions and The Imposters. The list of performers to record his songs from Johnny Cash to No Doubt reflects his interest in a wide range of musical styles. In 2003, he began a songwriting partnership with his wife, the jazz pianist and singer Diana Krall, resulting in six songs included in her highly successful album ‘The Girl In The Other Room’. “Having appeared in a couple of earlier Little Kids Rock nights, I very much appreciate the work that is being done in music education but confess that I am somewhat startled to find that I am this year’s honoree. Looking forward,” Costello said. Bonnie Raitt is a ten-time Grammy winner, who Rolling Stone named as both one of the “100 Greatest Singers of All Time” and one of the “100 Greatest Guitarists of All Time.” She was raised in Los Angeles in a climate of respect for the arts, Quaker traditions, and a commitment to social activism. A Stella guitar given to her as a Christmas present launched Bonnie on her creative journey at the age of eight. While growing up, though passionate about music from the start, she never considered that it would play a greater role than as one of her many growing interests. Bonnie was one of Little Kids Rock’s earliest supporters back when it was just a grassroots movement in the San Francisco Bay Area. Since that time, Bonnie become an Honorary Board Member, conducted meet and greets with students and donors, visited classrooms and invited Little Kids Rock to sound checks and to host tables at her concerts. Michael Dorf is the founder and CEO of City Winery. He has started multiple businesses and nonprofit organizations, including his first musical venue, the seminal Knitting Factory in 1987, The Digital Club Network, Tribeca Hebrew, Bell Atlantic Jazz Festival and Oy!hoo Music Festival. Through Michael Dorf Presents, Michael has spent last 14 years producing Carnegie Hall tribute concerts, raising over one and a half million dollars for programs that bring music education to deserving youths, with the Music of Aretha Franklin, the Music of Prince, the Music of Joni Mitchell, the Music of Bob Dylan, the Music of Bruce Springsteen, the Music of Elton John, Neil Sedaka’s 50 Years of Hits, the Music of R.E.M., the Music of The Who, the Music of Neil Young, along with the Music of Simon & Garfunkel and the Music of Frank Sinatra at Central Park’s SummerStage, the Music of Robert Johnson at The Apollo Theatre and the Music of David Bowie at Carnegie Hall and Radio City Music Hall. “Little Kids Rock was a natural fit to be a beneficiary of the ‘Music Of’ tribute concerts. The work they do to teach kids to play, giving them the self-confidence and inner creative streak that they might not have developed otherwise is so important,” shared Mr. Dorf. He is also the conceiver and producer of the Downtown Seder which for 25 years had presented an alternative celebrity Seder for 300 people a year in NY, Chicago, Boston, Napa, Atlanta. Benefit Committee Members include Scott Burton, Nicole Crystal, Chris Donohoe, Jules Follett, Richard Foos, Craig Kallman, Howard Kerbel, Alex Kirk, Joseph Laska, Caroline Moore, Betty Murphy, Elani Myers, Nate Riggs, Bruce Schroder, Chris Skarakis, Beau Taylor, Ken Umezaki, Steve Venz, Jose Vergara, David Wish and Cheryl Zimlich.